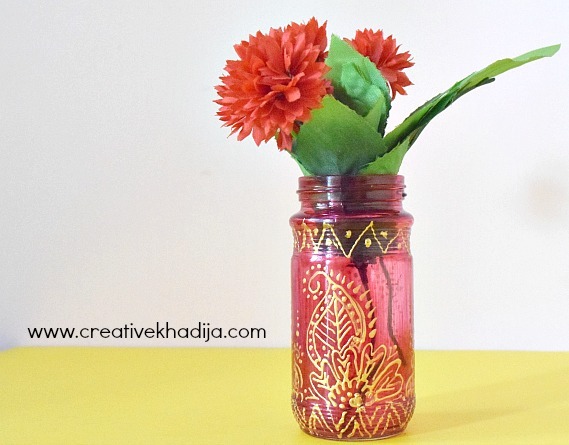 Decorated mason jars looks really cute & trendy. 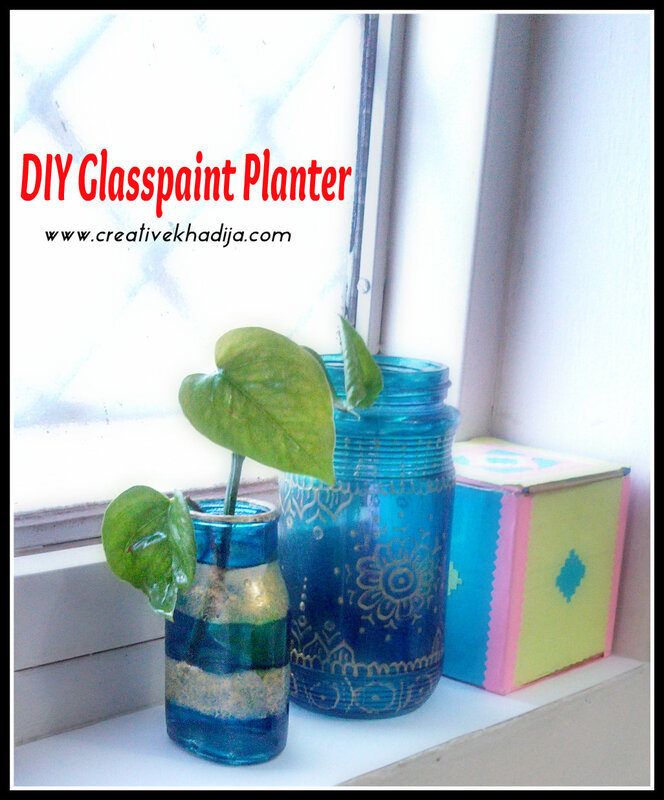 As I love recycling & reusing random things, So decorating bottles, chipped mugs & mason jars is always enjoyable for me. 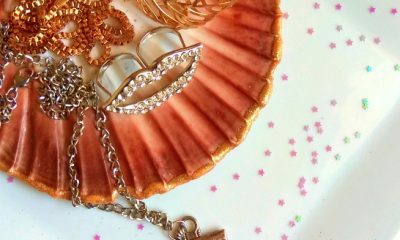 My readers who are following me for years now, They know right how many rough things I have been beautifying with simple creative tricks. 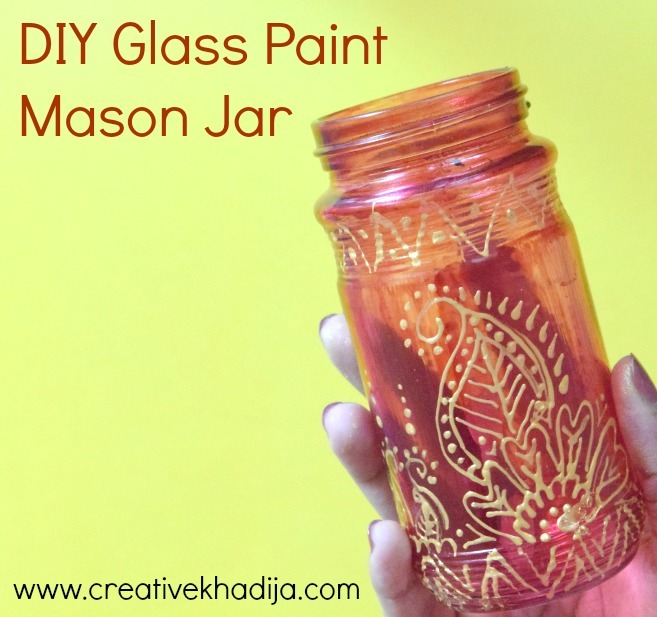 Today I am going to share How To Glass Paint Mason Jar. 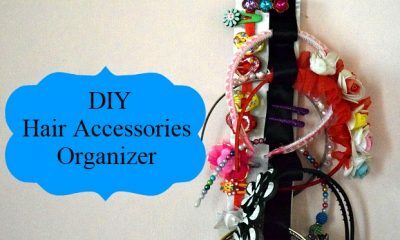 It’s a Video Tutorial & I hope you will enjoy the video. 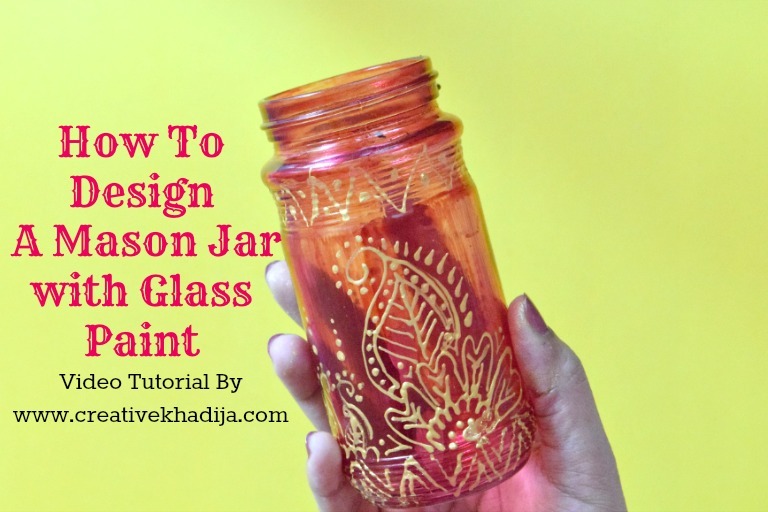 After sharing my first video tutorial of Decorating a glass jar, I got great feedback & a lot of people asked me to share more videos. I am sorry I am busy with some other tasks & it takes me too long to come up with another video craft tutorial again. Although I made this video 3 months back but editing & other stuff was pending. But finally it’s live today. Have a look please & let me know how is this idea. 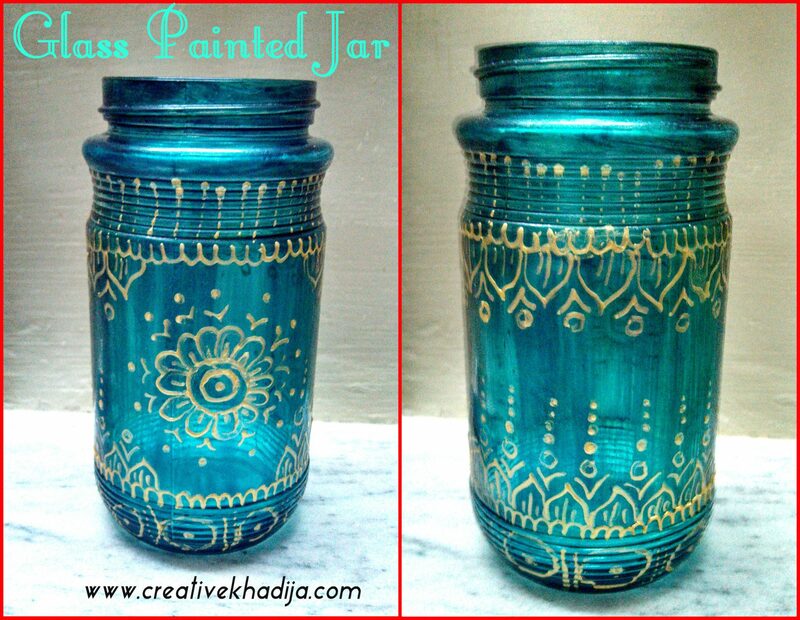 Do you remember two years back I’ve designed a turquoise mason jar for keeping my paint brushes organized? That tutorial was appreciated by a lot of my dear readers. 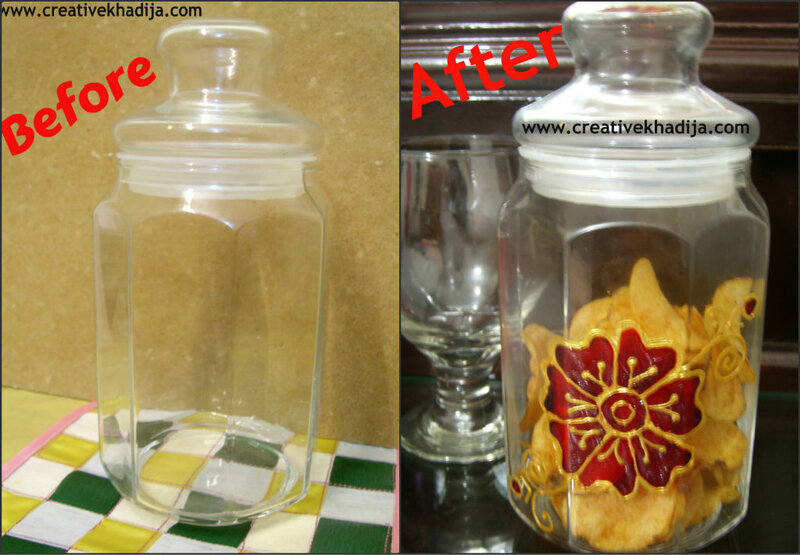 I have similar another plain jar which I am going to decorate today. 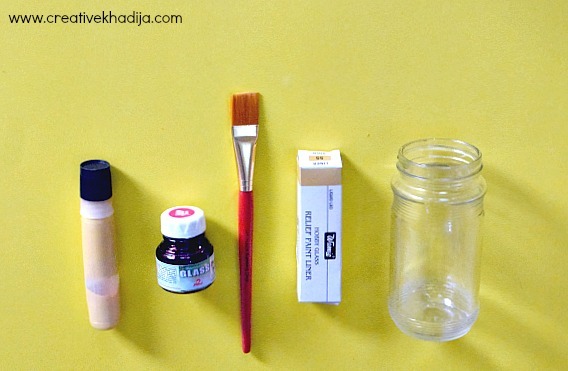 For decorating a glass jar, You will need these craft supplies first. Paint brush for glass painting. Glass paints & golden led outliner. 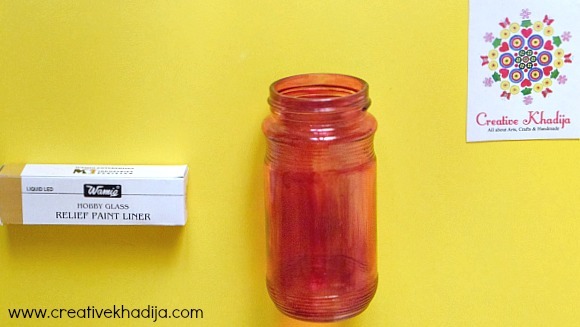 First you will apply a coat of glass paint on the glass jar & let it dry for almost half an hour. Start making any design or dots with outliner led. If you are not okay with freehand drawing, You can draw with a pencil & then apply the glass paint led outliner. As I’ve applied freehand design, So I know its not a neat & pretty design. Most of the girls I know are very good in henna designing. I am sure they can try some pretty designs freehand & much better than my design! 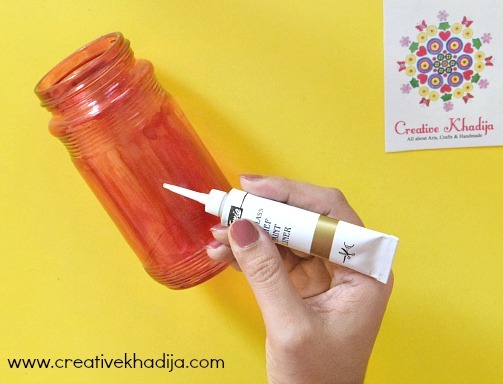 You can use your decorated jar as an organizer for your art supplies, markers, paint brushes or flowers to decorate your space! I am still not sure how I am going to place it in my craft studio shelves. 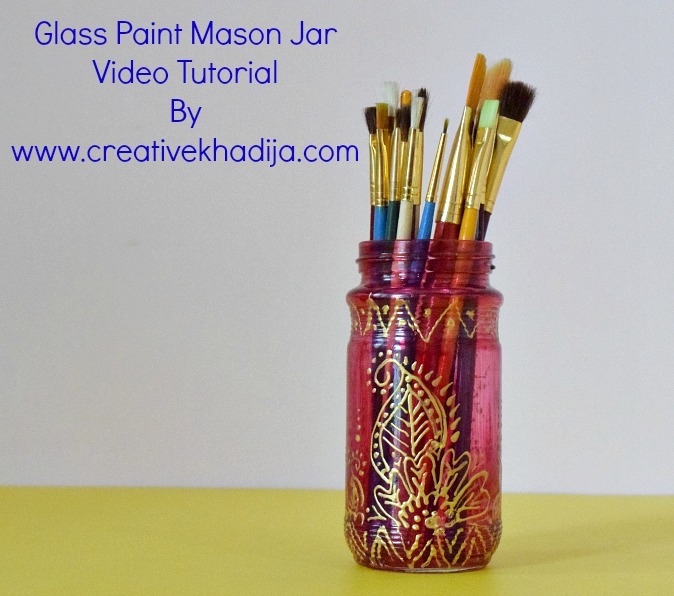 Would you like to see some of my other glass painted projects & tutorials? 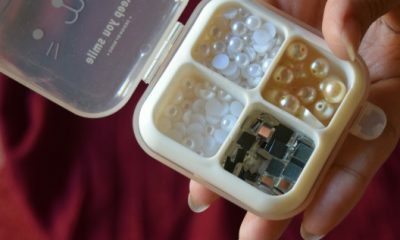 Let’s have a look at some archives DIY posts. 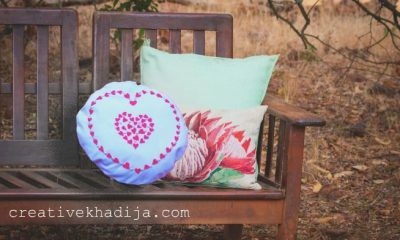 I hope you enjoyed my today’s blog post & these DIY ideas from archives. Be sure to share this post on your social media networks. 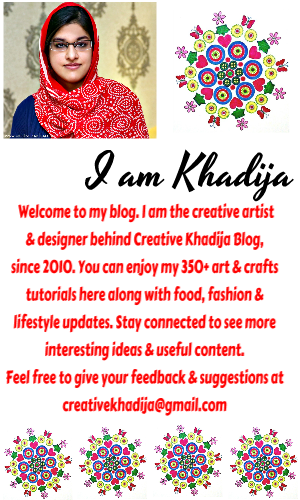 Let me know if any question about blog post or any query related blog collaborations. Looking forward to hear from you!! 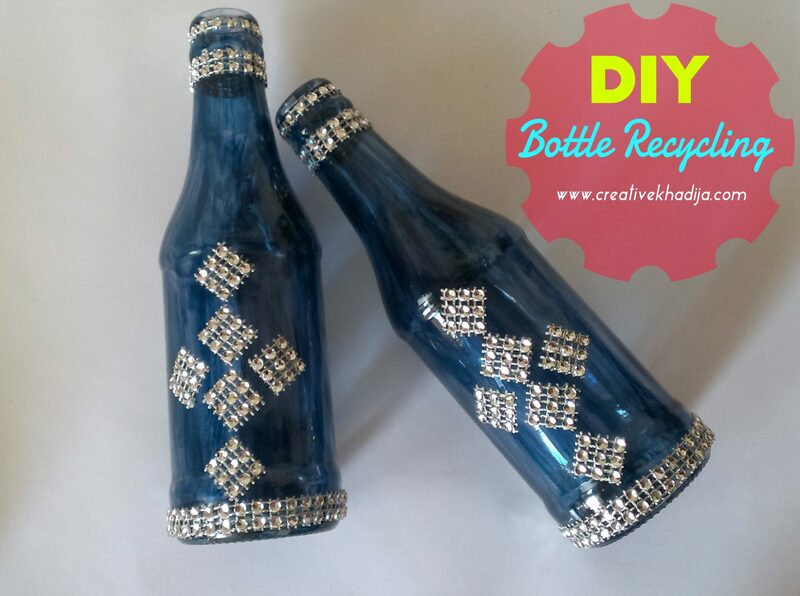 I am from Jamaica and I am looking at recycling ideas so I greatly appreciate you sharing this. Nice to hear from you. Recycling is always great idea! I am glad to see you liked it. This was really good! I’ve always wanted to try glass painting. I actually bought loads of lovely glass paints a couple of years ago, but never got round to trying it. (I was expecting my twins at the time!). You’ve inspired me to give it a go again now. If my paints aren’t dried out that is! Ha Ha! Oh really? Wow. 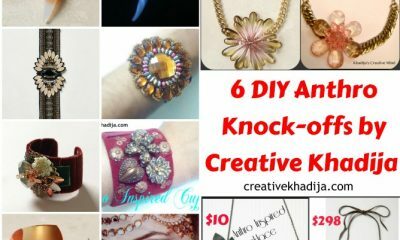 I hope your glass paints are not yet dried & you can make something similar with these! Be sure to give it a try & don’t forget to show me your version :) I would love to see. This looks really neat! I have used alcohol inks in the past to paint glass, I will have to try this way! Thanks Jasmine, I haven’t yet tried alcohol ink but heard about it a lot. Sure try this & then let me know :) In fact show me your version then! Oh my Gosh, it looks amazing! 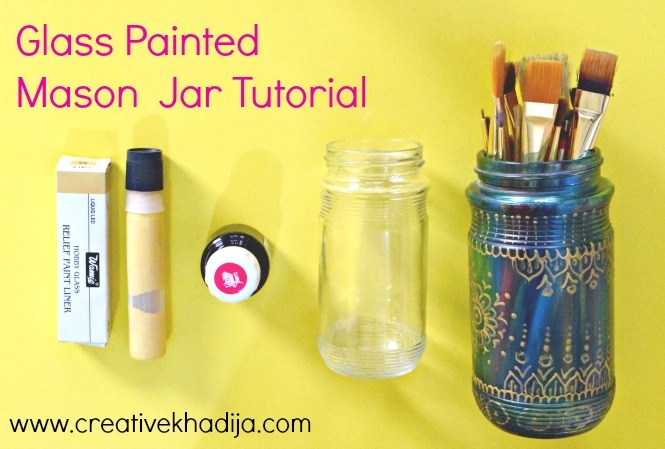 I’m a big fan of all the DIY’s, I have to make such a beautiful jar for myself! I love watching you draw the design, it’s hypnotic! Great video, K! How pretty. thanks for sharing at the link up. Wow! That’s so pretty! I’m not the slightest artistic but I’d love to at least have a go.